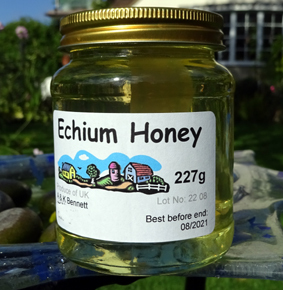 Echium honey is a late season single crop honey. The echium plant is related to borage. It produces an even lighter honey, both in it being almost transparent to look at, and in its light delicate taste. 2016 is the first year we have seen it grown and we have a limited supply.